Order Shy Kinda Love here! Learn More About Deanna Eshler Here! "When I was eleven, my best friend died in a car accident. When I was twelve, my mom walked out, leaving only a note to say goodbye. When I was eighteen, I was forced into witness protection. My new name is Shyanne Adams. To protect myself, and painless existence, I do not live. I do not laugh. I do not love. For the last three years, the only meaningful thing I’ve done is care for the horse I rescued. But now, at the age of twenty-one, the one person from both my past and present is pushing me to start living. Before I know it, I’m moving in with new friends who make me laugh. And next door is Kade Cross, the guy who wants me to love." Deanna reached out to me via email and we had a wonderful exchange pertaining to the horse slaughter pipeline. I do not normally read romance novels, and Deanna knew this, but asked me to read it more from a horse rescue viewpoint, so I obliged, because horses, duh! Mostly enjoyable, particularly the aspects relating to horse rescue and therapy for at risk youth. Some clichè/head shaking moments, but the psychological aspect of a victim mindset made up for them. The book moves very fast, but not annoyingly so. Needed more horse rescue back story for Shy and Walker, because there's never enough horsey action! Ok, so I do not really read romance novels. I just...can't. I'm a pretty jaded person despite my amazing relationship with my boyfriend. As in, I want to be married in my backyard with my animals, and like 3 guests. I may even wear my Ariat boots. That being said, I still gave the book a try. The romance sections are what I expect of a typical New Adult/Romance. I didn't like these sections, but I can appreciate that they were written well. This is more a matter of personal taste. A few times I was thinking "oh come on, really?!" But again, I do that in real life, even when it's about my best friends because I'm not an overly romantic person. Also, the over abundance of college aged male antics got on my nerves. I went to a woman's college next door to an engineering school that had many fraternities. So I spent more than a few weekends at these parties. 18-21 year old males just really irritate me. It is actually a credit to Deanna's skills that her characters got on my nerves so much, because they really reminded me of people I knew in college. There is one line in particular where she describes the look and smell of a fraternity house and it is so 100% accurate that I had to laugh. Those houses are nasty. 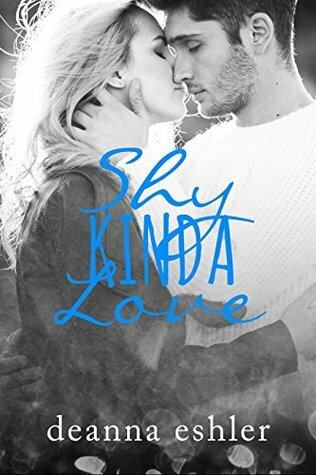 Shy Kinda Love is a well written, well researched NA romance novel that I enjoyed despite my almost hatred of romance novels. I could have done without all the male bantering and antics. I can see how some people would love these characters, but I was all like "more horsey action please!" The insight into the trauma and healing process of sexual assault victims was a new reading topic for me, and I enjoyed it. Anyone wanting a mostly light read, with a few chapters of heavy sexual assault material. For anyone who enjoys NA romance, as this has more meat and bone than the typical fluffy romance. Or, anyone wanting to see how Equine Therapy can help trauma victims rehabilitate to a normal life. The Peddler's Road by Matthew Cody Tour Stop! I have a very special post to share with you all! Today marks my very first blog tour post, and I couldn't ask for a better book or author to share this milestone with! Today, I will be talking about....The Peddler's Road by Matthew Cody! It is said that in the thirteenth century, in a village called Hamelin, a piper lured all of the children away with his magical flute, and none of them were ever seen again. Today tough, pink-haired Max and her little brother, Carter, are stuck in modern-day Hamelin with their father . . . until they are also led away by the Piper to a place called the Summer Isle. There they meet the original stolen children, who haven’t aged a day and who have formed their own village, vigilantly guarded from the many nightmarish beings that roam the land. No one knows why the Piper stole them, but Max and Carter’s appearance may be the key to returning the lost children of Hamelin—and to going home themselves. 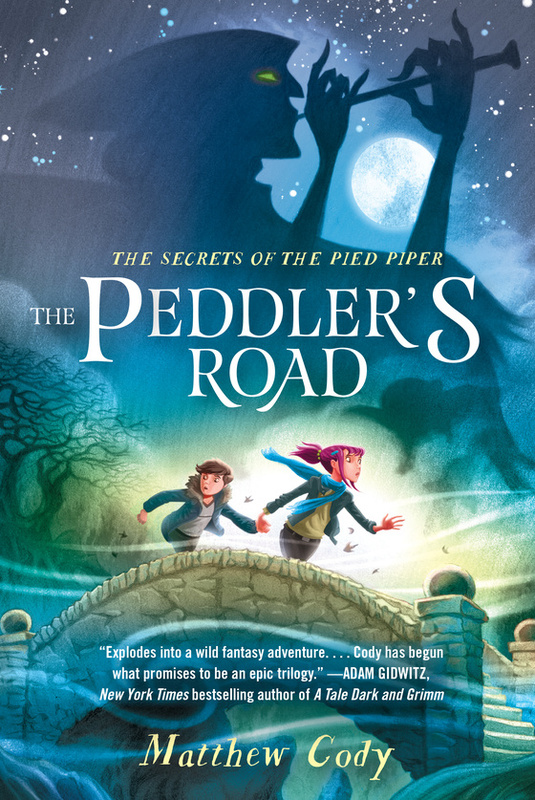 But to discover the secrets of the Piper, Max and Carter will have to set out on a mysterious quest down the dangerous Peddler’s Road. Learn more about Matthew by visiting his Website or by following him on Twitter! If you couldn't tell by the summary of this book, it is a book that I will love! When Hannah asked me to be a part of this blog tour, I could not say no! I love retelling of folk lore, and I have never heard of a retelling that involves the Pied Piper, so I am very interested to read this! For his guest post, I asked Matthew to write about the importance of believing in "fairy" tales and folklore, along with the significance of these stories to Matthew himself! I figured that this topic would fit along perfectly with The Peddler's Road, and I can't wait to share what Matthew wrote! It’s so true. Life is filled with opportunity. Adventures wait around every corner, but so do dangers great and small. Such a winding road can be hard to navigate, but luckily human beings have spent centuries writing guidebooks. Most people call them fairy tales, but I prefer the term “folklore.” The term “fairy tale” implies something silly, and hardly relevant to everyday life, but folklore implies knowledge, even wisdom, passed down from, er, folk. Kids get this on a gut level. They lie quietly in bed and listen to the story about the little girl who strayed from the forest path and they look out the window and they just know that there are wolves waiting there. So what if the view out the window is the neon sign from the nearby gas station, or the backyard swimming pool. It’s all a dark wood when the sun goes down. And safely tucked into their beds, children can experience the vicarious thrill of chopping down the beanstalk without a real giant crashing down upon their heads. It’s all great fun, but when the storybook’s over, maybe they will think twice about abusing the kindness of strangers. Most of these tales, at least in this country, have been given a coat of whitewash. The stories are still compelling, and the lessons are still there for the taking, yet they are often served up with a happier ending. But there’s at least one fairy tale—excuse me, folktale—that has steadfastly avoided happily ever after. The Pied Piper of Hamelin rid the village of rats, but when the townsfolk refused to “pay the piper,” he came back with a vengeance (hmm, maybe those folk weren’t so wise after all?). The Pied Piper stole the children of Hamelin away. One hundred and thirty of them, to be exact. And they were never seen again. Read the original tale to children, and they get it. Their eyes go wide as they realize that you left out the most important part: What happened to the children? Where did they go? If a child asks you this, or maybe you’re just wondering yourself, I hope you’ll pick up a copy of The Peddler’s Road because the answer, mine anyway, is in there. Who knows? After all these years, maybe it’s finally time for the children of Hamelin to get their own happily ever after? But then again, maybe not. After all, there’s always a witch in the woods . . . "
After a guest post, I don't normally like to comment on what the author or the blogger has written, just because I like to let them have the final word. But I just want to say thank you to Matthew for "correcting" me on my use of the word "fairy" tales, even if it comes down to personal preference. Fairy tales does involve some sort of negative connotation to it, that whatever the story is will not hold relevance to daily life. But the thing is, stories like this always hold meaning. Children understand the morals behind the story, and they all pass down wisdom, even if it is not obvious at first. I wanted to take a minute to thank Matthew for explaining that and helping me to open my eyes. Thank you SO much to Hannah from Irish Banana Blog Tours for organizing this amazing tour. 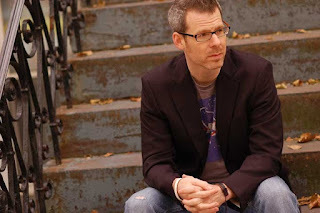 Thank you SO much to Matthew Cody, for stopping by on the blog today! Pick up your copy of The Peddler's Road today, and look for my review of the book coming soon! Update Post: Looking for Another Co-Blogger! I'm sure you gathered that I have not been very active on the blog lately. I wanted to make a post addressing it, because there has been a lot going on in my life, and you guys deserve to know what's been going on. I'm not trying to make any excuses for not being active on my blog. I want to make that as clear as possible. I just want to keep you all informed on what's been going on! Senior Year: I'm sure that the majority of you know that I go to a school with a very rigorous curriculum. My school is an International Baccalaureate (IB) school, and the curriculum has lots of additions and additional requirements that I have to fulfill in order to get the IB Diploma. This involves a lot of community service, additional essays and projects, and overall, more time devoted to the curriculum! I love my school and the opportunities it provides for me, but I've been focusing on fulfilling those requirements lately. Robotics: This is not a big time-consumer yet, but I'm on my school's First Robotics Competition team. Basically, we have to construct a robot to do certain tasks, and we only have six weeks to build and program the robot. Right now, our team is focused on training and improving our skills. The time commitment here is at least seven hours a week, and most of the time, we are so focused on training that there is little down time. Blogging Slump: Overall, lately I've just been in a bit of a blogging and reading slump. I've been struggling to finish reading books lately (likely due to my school commitments), so it's been hard for me to post some reviews. I'm looking for another co-blogger! Because of these commitments, it's been hard for me to stay on my blogging schedule that I wanted to keep for myself. I'm hoping that by adding another co-blogger, it will help to keep the blog more active, and also to help you guys (and other readers) to get a taste of other genres, not just those that I enjoy! Great! If you are interested, I have a few pieces of information that I require from you/some requirements that I need. Time Commitment: I would love for my new co-blogger to be able to post at least once every two weeks with a review. It would be amazing if you were able to post a review or another type of "approved post" (blog tours/interviews with authors/etc.) once a week (if you know for sure that you are able to, please mention this to me!). Experience: I find it ideal that my new co-blogger has experience reviewing books, either on Goodreads, Amazon, Barnes and Noble, or their own blogs! It's okay if you do not have a ton of experience, but I would like to have a co-blogger that is well-versed in writing reviews or interested in doing so. Please send me an example of one of your reviews, or the link to your blog/Amazon profile. If you are not experienced in writing reviews, but you have been a part of the "bookish community", I will definitely consider you! I just wanted to use experience as a factor because I want to make sure that my new co-blogger is interested and connected with the community. Please mention your social media accounts here too (like Twitter/Tumblr or Instagram), anywhere that you would be willing to share reviews and your love for books! I also ask that, out of courtesy, my co-bloggers also release what ARCs they are requesting for review, when they are requesting them. This is just so that I know what books will be coming up on the blog, so that I can better prepare for their release. Of course, you don’t have to do this, but it would make planning wonderful for me! If these requirements fit you, please send me an email at iamabookjunkie(@)gmail(dot)com! Why you think this blog is a fit for you! Any interesting facts about yourself and anything else that you would like to include! Please subject the email "Co-Blogger Application" so I know that you can follow instructions! This is about it for now! If I have any additional questions, I will respond to your individual application. Hopefully, I will be selecting my co blogger soon, and I will be making an announcement on the blog when my new co-blogger is selected. That’s it for this post. Thank you so much for sticking through the rough and busy times with me!